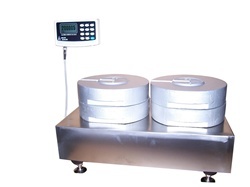 Many industries have need for scales for certain types of weights and measures. One of the most commonly used types of scales is the utility scale. A utility scale is designed to be portable, durable, and precise. Companies of all types may eventually find a need to invest in a utility scale for various reasons. At the time of purchase, the business should thoroughly consider the characteristics that were mentioned above. One of the good qualities about a utility scale is its portability. Yes, it is larger and a bit more cumbersome than the hanging scales. However, it is still small enough so that someone can move it from one place to another, if necessary. Many times, the items to be weighed are very heavy or bulky. It may be hard to bring those items to a scale. So, it is important to have a scale that is able to travel to the item to be weighed. A utility scale is lightweight and small enough to do exactly that. Therefore, these types of scales can be used to weigh items that should not be removed from their location for other reasons as well. A utility scale is designed to be durable. These types of scales generally work so that the item to be weighed is actually placed on the platform of the scale. Therefore, the scale must be able to support very heavy weights and still maintain its durability. These types of scales are made from materials that are able to withstand the weight of heavy objects that might be placed on the platform. The craftsmanship of these types of scales is also designed to hold up under various conditions. Because of its portability, the scale may be moved a lot. Therefore, it is designed to stand up against frequent movement. One of the most important things to consider when purchasing a utility scale is its precision. Of course higher precision scales are generally higher quality. Therefore, they may be just a little more expensive than their lower caliber counterparts. However, in many industries, the greater precision might be necessary. In those cases, it might be well worth the additional expense to obtain an instrument with greater precision. For other uses, accuracy might be important, but there might not be as much need for great precision. In those cases, it would serve the purchaser better to purchase a scale with lower precision and save the additional money for other equipment. No matter what level of precision is needed, the purchaser should make sure that the precision of the scale being purchased matches the precision level that is needed for its intended use. Utility scales are designed to be portable, durable, and precise. There are different levels of precision so the purchaser should investigate to discover which scale is needed their purposes. No matter what the intended purpose for the scale, Arlyn Scales can find an affordable utility scale that meets your needs. Visit Arlyn Scales atwww.arlynscales.com today!